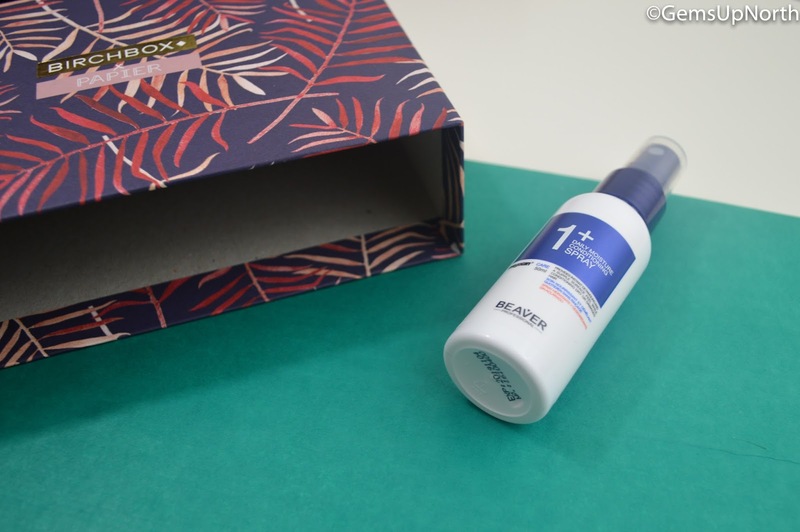 It's that time of the month again when my Birchbox has arrived, I've sampled the products and here is my review post. 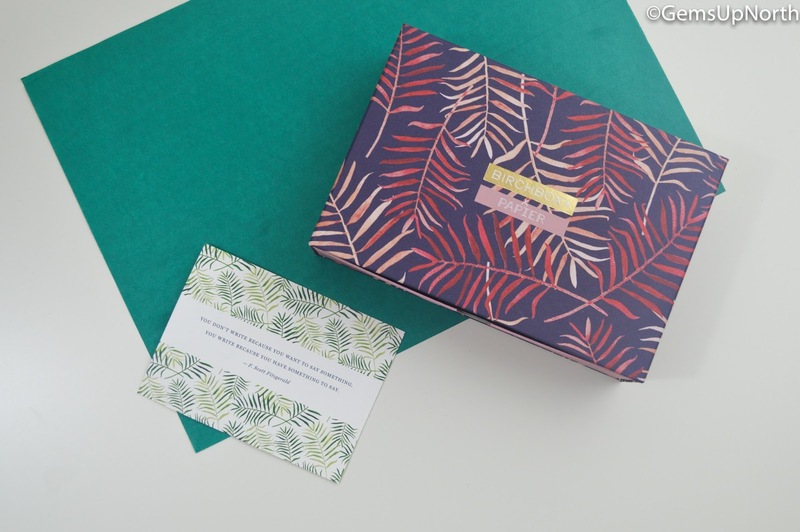 This month Birchbox have teamed with British stationary company 'Papier' who have designed two beautiful boxes! The leaf printed boxes were available in 2 colour options and subscribers were able to pick which box they wanted to receive. 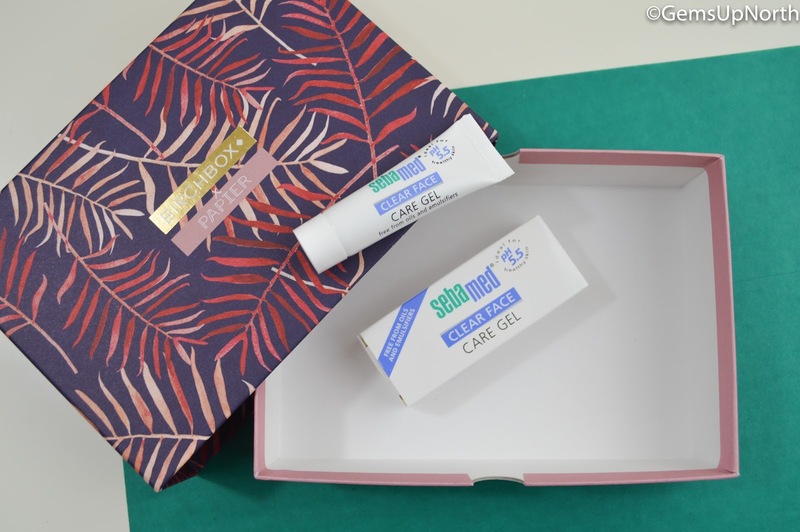 Birchbox announced that from February we would be able to pick something each month weather it be the box like this month or an item we receive; we will always get a choice on something from now on. I personally like this idea, it's always fun to be able to pick what you want but still have some surprises as well. I went with the darker coloured box this month which has plum, pink and red colours featured, a lot different from other boxes which are usually brightly coloured. Inside the drawer design box (still loving this design) were 5 items, 2 of which are full size and there's a good mix of products this month too. From last months sneak peak I knew the Spectrum brush was in the box and this got me really excited to get my box! 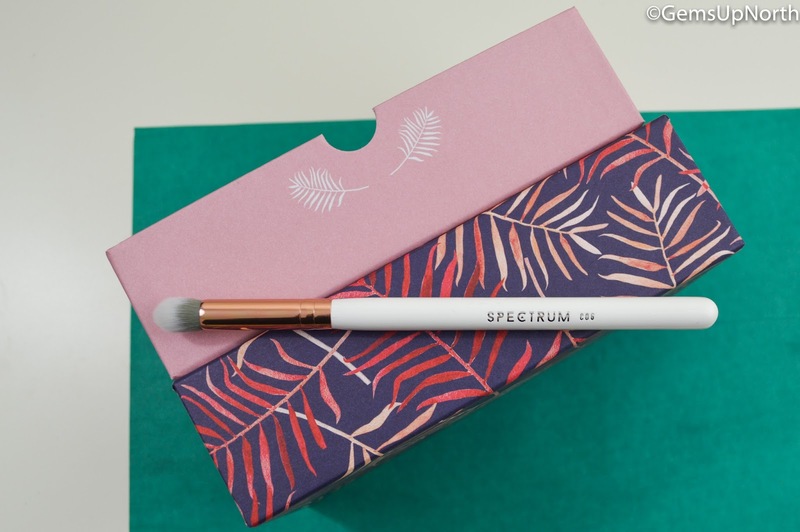 Spectrum are a brand I've followed since forever and admire a lot, they create fabulous cruelty free brushes in amazing colours and designs. I don't actually have any of the Marbleous brushes in my Spectrum collection so I am happy to now have one. This brush like all of Spectrum's is super soft and great for applying makeup, holds enough product to create a perfect eye look and washes easily too. The white handle is secure and sleek making it a beauty lovers dream brush! I now need to add the full Marbleous eye brush set to my collection. 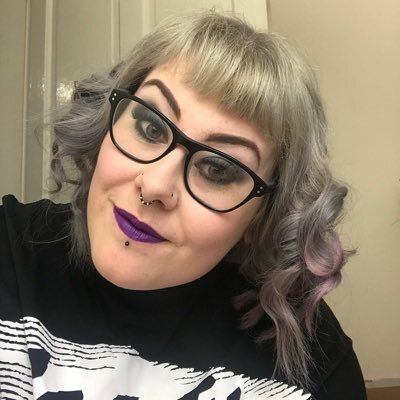 Spectrum have featured in Birchbox before with a brush in last February's box and their Unicorn Tears sponge in last May's box. 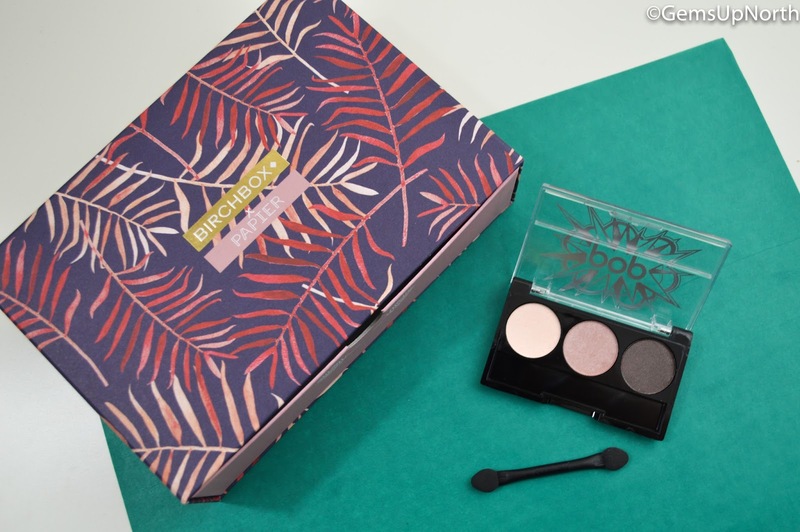 I've only used one other POP Beauty Eyeshadow trio in the past and that was when I added it to my build your own Birchbox last February, you can read that post here. This trio is a little too neutral for me with the shades being natural colours but I have used it for a work eyeshadow and had good results. With the help of an eyeshadow primer the shades stay put all day with little colour loss. They apply quite easily using a brush and when using a wet brush the shades have a more intense colour. I have also used the 2 lighter shades as base shades for under my brighter eyeshadows and this has been successful. I'd like to try some brighter colours from POP Beauty in the future though. 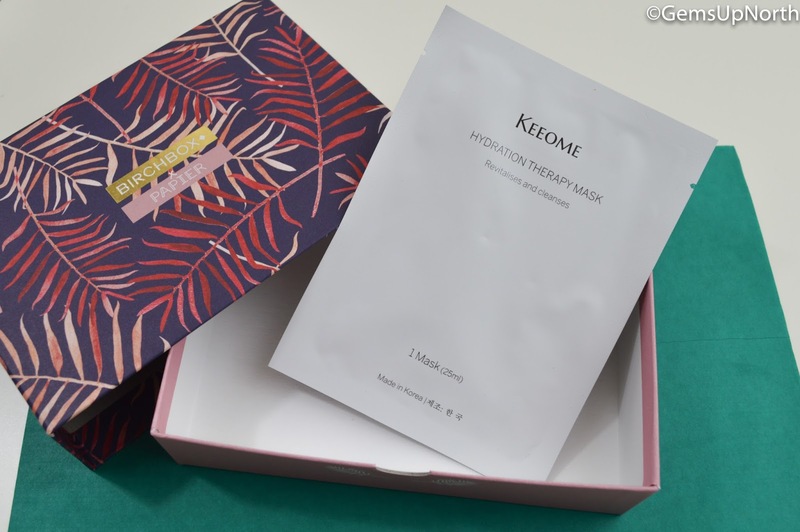 Korean skincare is becoming more and more popular with its proven results, everyone wants to try it; I was excited to give this face mask a try and see the results on my own skin. The mask gets to work in minutes and my skin started to feel refreshed near enough straight after putting the mask on. The Mulberry extracts in the mask helps with tried completions. I'd happily use one of these each week, my skin reacted well with this therapy mask and I did feel more hydrated in my face. I found the mask easy to apply and easy to take off, I'm a sucker for a sheet mask because I can be super lazy sometimes, after taking off the mask you don't need to do anything so it's perfect for me. The only downfall is the price tag, even at £29 for 6 is a little out of my price range for a face mask. Beaver is a new brand for me, I've never tried any of their hair care products, the packaging looks like a professional hair care brand and like something you'd see in a salon. The product detangles hair once sprayed onto damp hair, it also smells great which is a plus for me. The scent reminds me of salon hair care products and this gives me more reassurance that the product is good quality. I've used the spray a few times now and it has definitely helped with my knotty when wet hair and helped to smooth my dry/damaged hair. Since I've coloured my hair blonde I am using toners and dye more frequently so my hair needs as much moisture as possible; this daily moisture spray is easy to use and convenient too so I'll be thinking of purchasing a full size once this travel size has ran out. My first impressions of this face gel was that the box and tube look very medical which doesn't appeal to me greatly. I do suffer from unexpected break outs just like everyone else so I was intrigued to try this clear face care gel which targets spots to heal them without drying your skin out. Even after my first application my skin felt soft to touch and with the product being a gel a little goes a long way. As for breakout areas, I believe this gel did help clear spots up quicker than normal but it's just as good as my usual spot treatment which is slightly cheaper. At under £6.00 I would recommend this treatment still; its also handy to keep in your bag for applying throughout the day during a breakout. I've enjoyed using all the products in this months box and having the Spectrum brush inside already made this box a winner for me. I loved the box design and this will be added to my Birchbox drawer box storage stack which is becoming quite high now. I do like to have more makeup items than skin and hair care but this months items was a good mix. 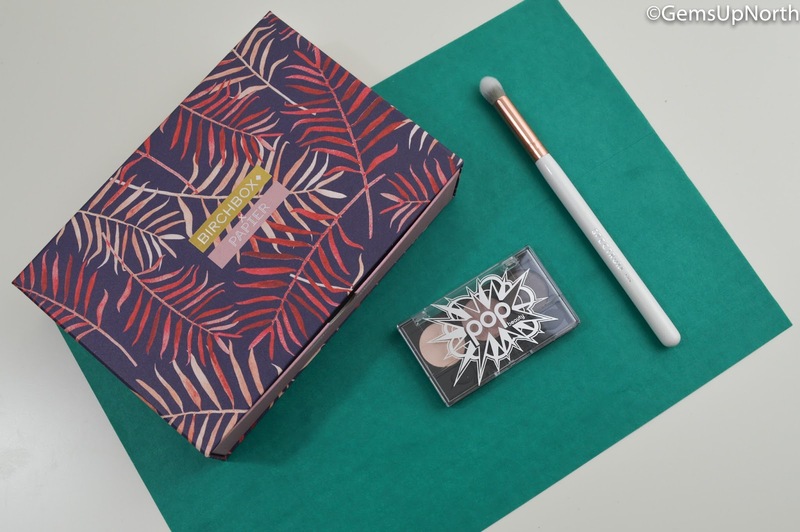 Are you a Birchbox subscriber, which box design did you pick this month? It was a good box esp with the Spectrum brush included, I would of happily had the box and brush and been happy haha.